New South Wales (NSW) Government-backed initiative, Jobs for NSW, has invested $1.67 million to support British Telecommunications’ (BT) cyber security research and development facility in North Sydney. According to the NSW Minister for Innovation, Matt Kean, the multi-million dollar investment into the company’s first global cyber security research and development facility outside of the United Kingdom will create more than 170 jobs over the next five years. “This facility is a major boost for our economy and will be a real time nerve-centre protecting large enterprises, industries, governments and even nations from cyber attack,” Kean said. In addition, BT is said to be making a $2 million investment in capital infrastructure, and a further multi-million investment to employ cyber security specialists. “This operation will help keep Australia’s best cyber security talent here in NSW and nurture our next generation of specialists to ensure we remain a regional leader in this fast growing industry. 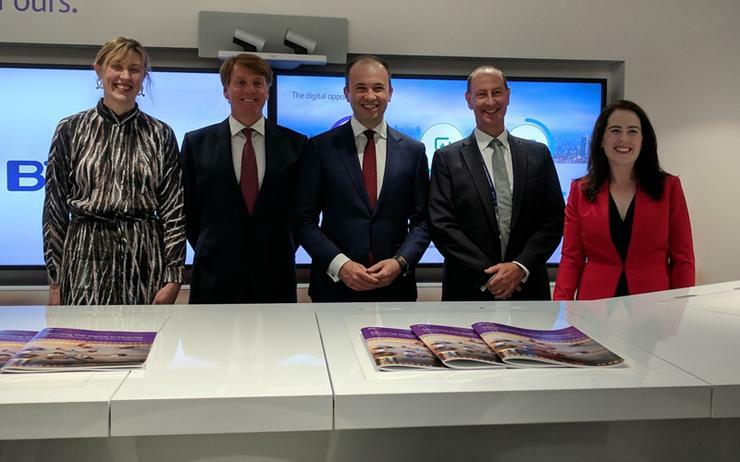 “I’m confident job opportunities offered by BT will also act as an incentive for Australian citizens currently working overseas to come back home and bring their highly valuable skills with them,” Kean added. According to Kean, the facility will employ a range of highly qualified cyber security specialists. “The areas of expertise in the new facility include cyber security, machine learning, data science analytics and visualisation, big data engineering, cloud computing, data networking, and the full life cycle of software engineering,” he said. BT Security CEO, Mark Hughes, said the move is an opportunity to tap into local cyber security talent, and by doing so address a major skills shortage. “Never before has cyber security been more important and we see potential for growth not only in NSW and Australia, but further afield,” he said. Most recently, Dell EMC and BT partnered up to research new ways of managing network traffic. The goal is to explore how disaggregated switching can create flexible networks that are more responsive to customer needs.